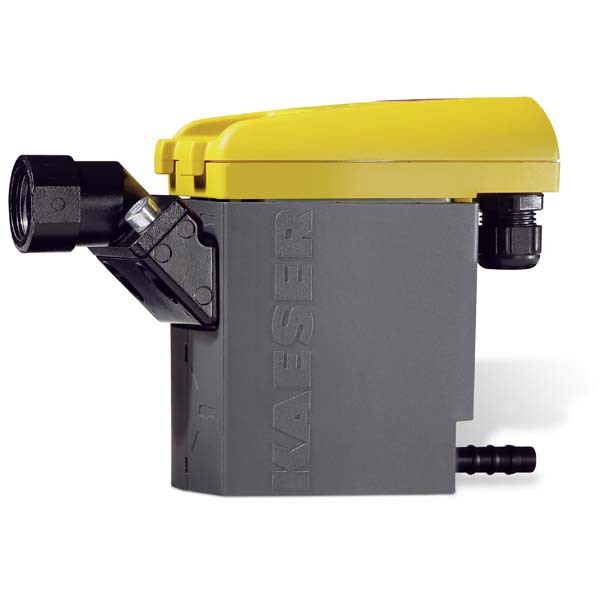 Kaeser’s Eco-Drain Series of electronic condensate drain traps efficiently eliminate moisture from the compressed air system. They are ideally suited for equipment such as dryers and filters. The capacitance sensor technology ensures that only condensate is released – not valuable compressed air.